I'm looking for people who are ready to work hard, & commit to big change. I help talented individuals & creatives reinvigorate or make career jumps, find side hustles, & joyously crush their goals. Jessica Trainor is the Lead Creative + Transition Coach for Rowan Coaching. Inspired by her experience as a working artist, her time working in an HR role for a hedge fund, and her own work with Colleen Star Koch, Jessica realized that coaching was a natural career to fit into her life. Jessica aims to work with creatives and talented individuals to find their confidence, facilitate career jumps, or even ditch the standard working world by leveraging their skills, talents, and passions into work they are proud to share with others. Most of all, Jessica wants people to live their joy, and take their shot at fulfilling their dreams and living their passionate life. Individual "brain-based" coaching helps artists, creatives, and entrepreneurs get specific with goals, clear with your values/non-negotiables, create innovative strategies, and provides a TON of accountability. We are not here to wallow or take it slow. Jessica is here to help you find what gets you excited, capitalize on your talents and passions, and push you outside of your comfort zone. Jessica is your project manager - together, you will come up with the road map to your goal, and she'll be checking in with you along the way. When she is not coaching, Jessica leads an active career as a vocalist. 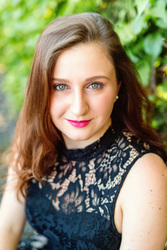 She recently spent the summer of 2017 as a Studio Artist with Opera NEO. She played the roles of Mélisse and Coryphe, and covered the role of Sidonie in Gluck's Armide. On her performance of Mélisse, The San Diego Story said Jessica, "employed [her] passionate, seductive [voice] to great effect in dulcet cantabile lines." Jessica also teaches voice in the Metro Boston Area, and runs a studio of over 20 students.